Hailed as a global renaissance woman, A poet, memoirist, historian, activist, and professor; a three-time Grammy winner for her spoken-word recordings; a nightclub dancer; a cabaret and calypso singer; a Broadway actress, a film a mother of a child and television director; a performer for Alvin Ailey; the second poet, after Robert Frost, to appear at an American presidential inauguration; an ardent tweeter until the very end, Maya Angelou lived her life with great pride and dignity. “She is the reason behind the change of womanhood. She has left no stones unturned to challenge the limits” says S.Vaikundarajan expressing his sorrow. Living her life to the fullest, this lady has never lost hopes and walked the path of freedom firmly. Her books, poetries, autobiographies like Mom & Me & Mom, Letter To My Daughter, I Know Why the Caged Bird Sings, Phenomenal Woman and many other have inspired us all and has taught us some very important lessons of life. 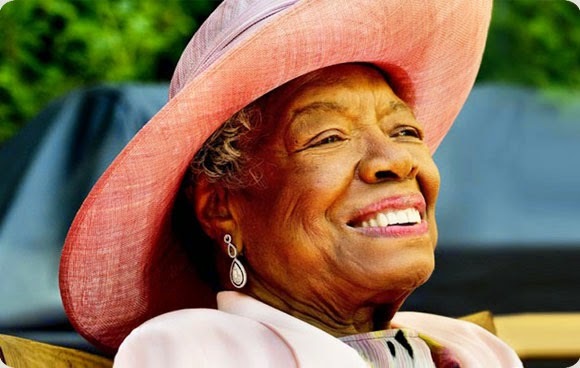 Dr. Maya Angelou is one of the most renowned and influential voices of her time. “Her thoughts, words, actions and learning, continue to stir our souls, energize our bodies, liberate our minds, and heal our hearts” says S.Vaikundarajan ending on a positive note.